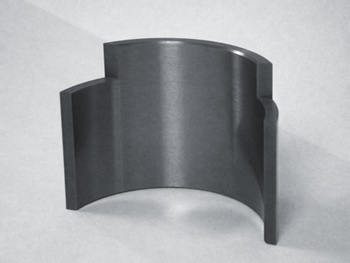 We manufacture several carbide wear components including centrifuge components that are utilized in the operation of material separation systems that operate at high RPMs. The centrifuge industry requires intense wear resistance. These material separation systems operate at high RPMs producing extreme pressure. We manufacture several carbide wear components including centrifuge components that are utilized in the operation of these machines. If you're looking for carbide saddle bowls, centrifuge parts, wear blocks, carbide feed nozzles, carbide rings or carbide wear tiles we would be happy to connect with you. You can start a quote or ask a question by contacting us.